Euro Concept With Labyrinth PowerPoint Templates And PowerPoint Themes 1012-"Microsoft Powerpoint Templates and Background with euro symbol in the centre of labyrinth"-Euro Concept With Labyrinth PowerPoint Templates And PowerPoint Themes 1012-This PowerPoint template can be used for presentations relating to-"Euro symbol in the centre of labyrinth, signs, business, finance, success, labyrinth" Get on the boat with our Euro Concept With Labyrinth PowerPoint Templates And PowerPoint Themes 1012. Get your views ferried across. Admit them into your world of brilliance. 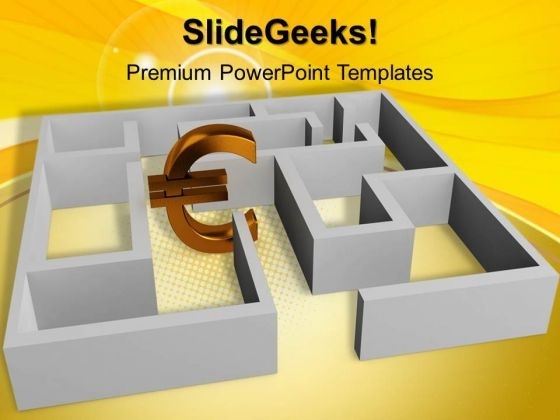 Our Euro Concept With Labyrinth PowerPoint Templates And PowerPoint Themes 1012 will direct them along.